Ysabel Lemay is an Austin-based digital artist who creates complex hyperreal, a process she calls hypercollage, panoramic expanses of natural spaces and landscapes. 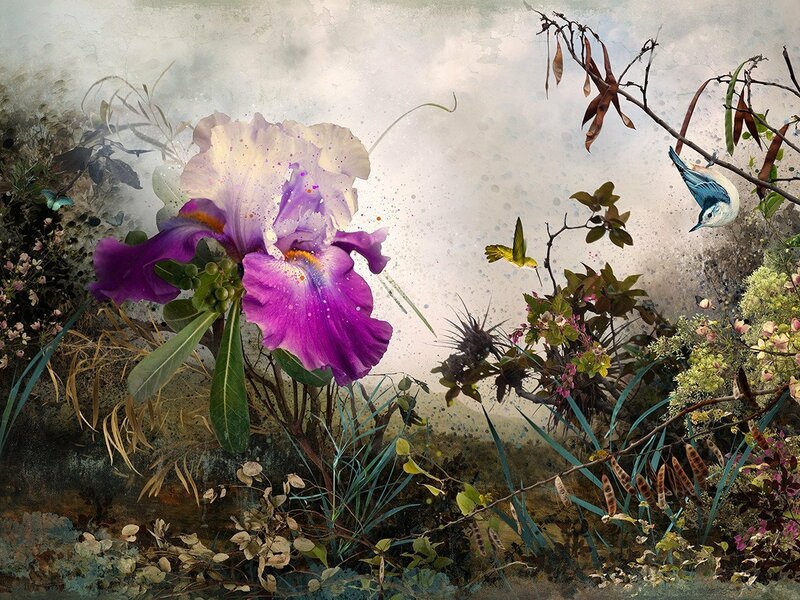 Her work feels very much like the digital equivalent of Martin Johnson Heade’s botanical and ornithological paintings. 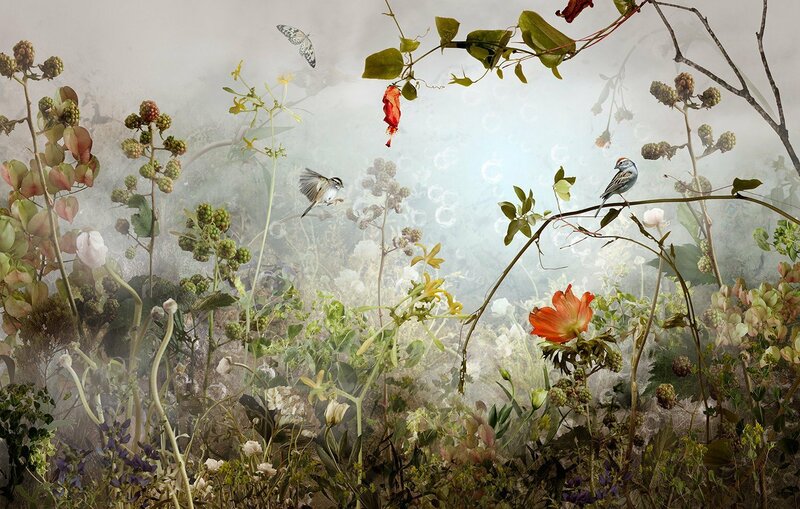 Her composite landscapes are vivid images of romantic perfection. I particularly enjoy that you can feel the growth and flow of her work, the beautiful blending of painterly landscapes and collaged images. Her landscapes are other worldly.